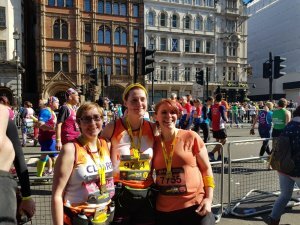 13.1 miles is still a long way even though you’re only running a full ‘half’. 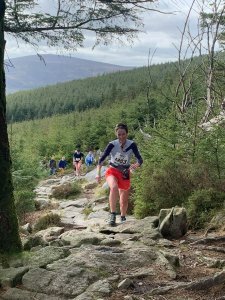 It’s even longer if it’s an ultra half. 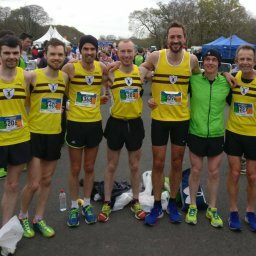 Whether running their furthest or their fastest or somewhere in between, there was a great number of Harriers racing at the weekend. 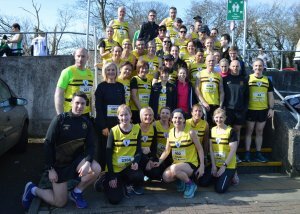 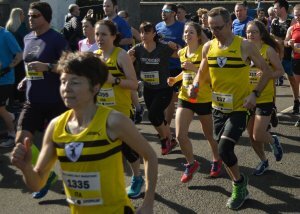 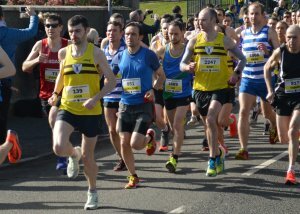 North Belfast Harriers were out in force at the Larne Half on Saturday. 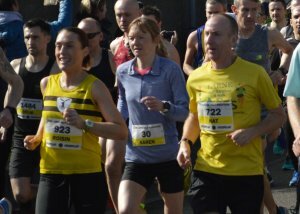 There were podiums and PBs with Gladys Ganiel taking 2nd place in the Ladies race and John Black finishing 3rd in the Mens. 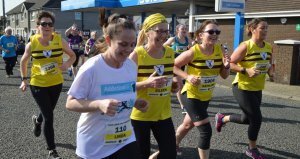 The route takes the runners along a scenic coastal route starting at the Larne Leisure Centre. 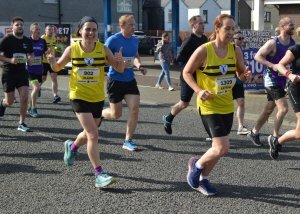 It is an out-and-back road race heading north along the coast, with a hilly clockwise loop near Cairncastle before returning south to the finish line back at the Leisure Centre. 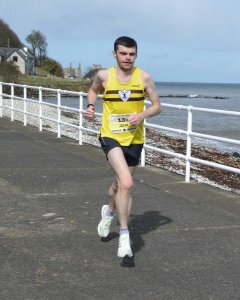 Several Harriers returned to post new PBs on the coast and also to test how well their winter’s training has been. 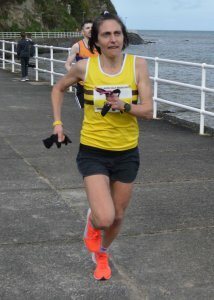 place in inaugural race which finished on ¼ of a mile out to sea on Weston’s Grand Pier. 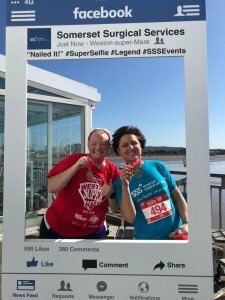 Brady and Orla Young ran whilst raising money for the MS Society. 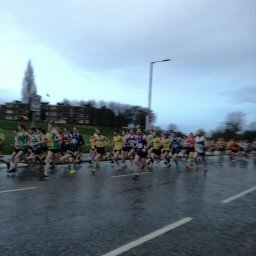 There was a great turnout of Harriers at Saturday’s parkruns. 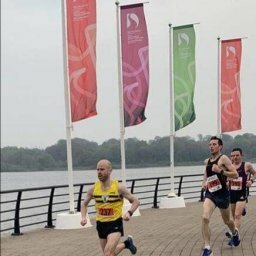 Several PBs and first finishers, an out and back over a bridge between two countries and one of the fastest times recorded across all parkruns this weekend.